Do you ever get a really crazy idea? About a week before I left for vacation, a friend gave me some old curtains left in their new house by the previous owners. They were a bright sunny yellow and I just knew it would be perfect for a 1950s patio dress. And I decided that I just had to have it done before vacation so I could wear it on vacation. 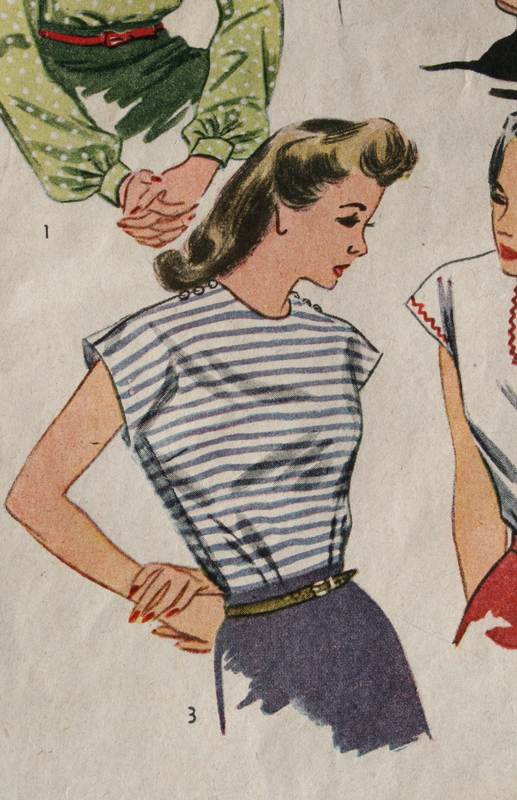 Now, the basic pattern for the skirt is pretty easy-it’s just three long rectangles gathered together with an elastic waist band. 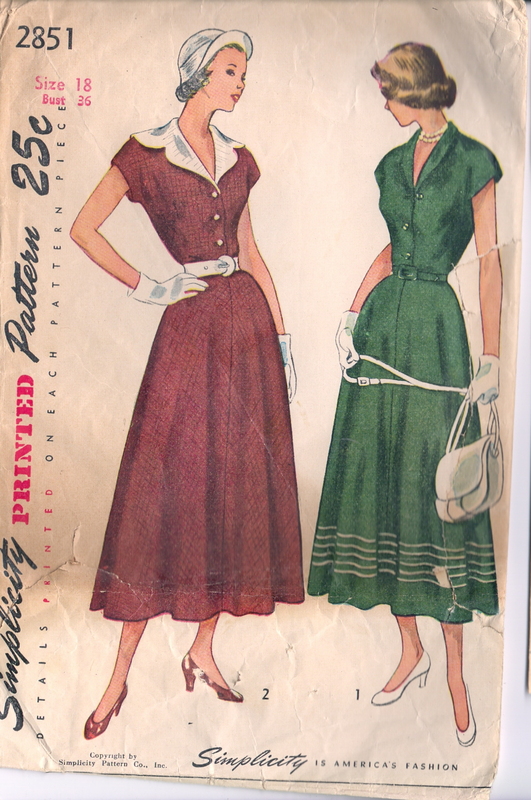 But vintage patio dresses take heaps of trim! 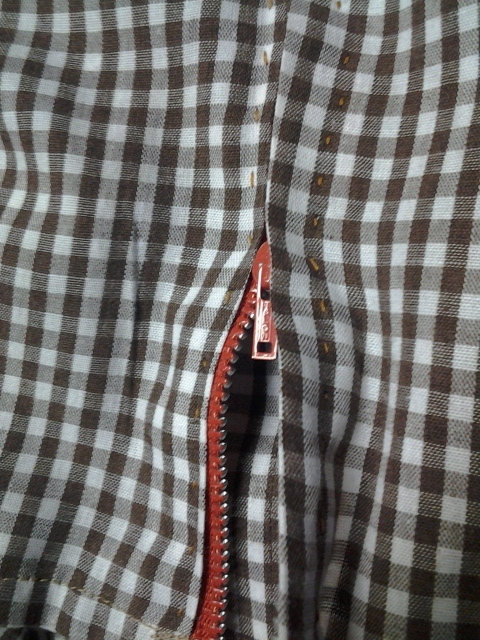 Aside from hours sewing on ric rac and other trims, my sewing machine decided it needed to break down. Thank goodness all it needed was a new bobbin shuttle but I lost a few days of sewing time waiting for it to arrive. So, in the end I was only able to get the skirt portion finished, but I do have a vintage blouse pattern cut out to match. Luckily, I had a Mexican peasant top that worked well too! I ended up wearing this outfit to a bird sanctuary and one of the ladies working there said it reminded her of the outfits she wore growing up in Mexico which just made my day! More photos (and photos of birds!) over on the blog. 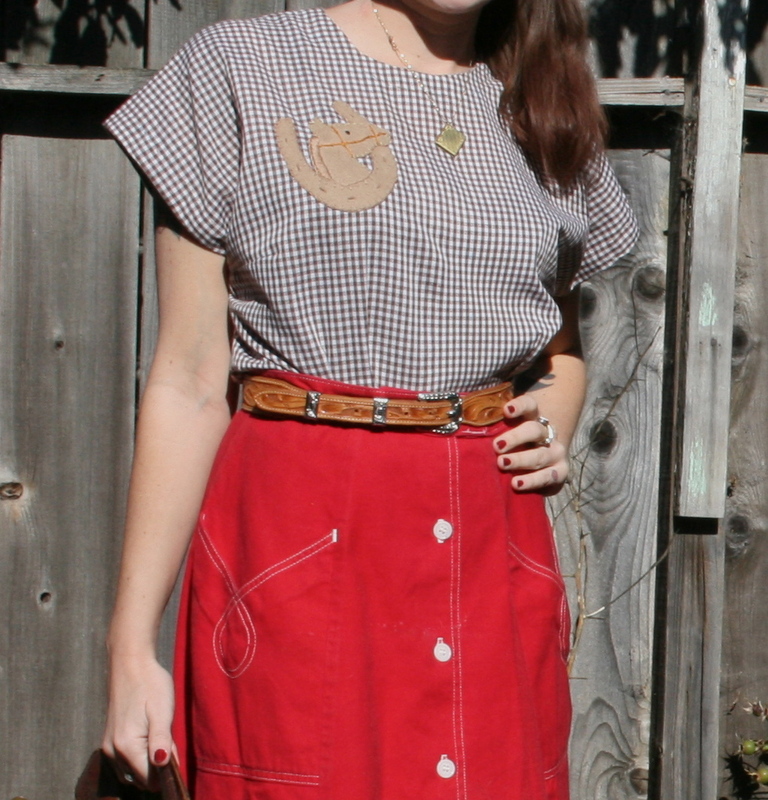 I’m not much of a country girl but I couldn’t resist adding a bit of western flare to my blue chambray dress! 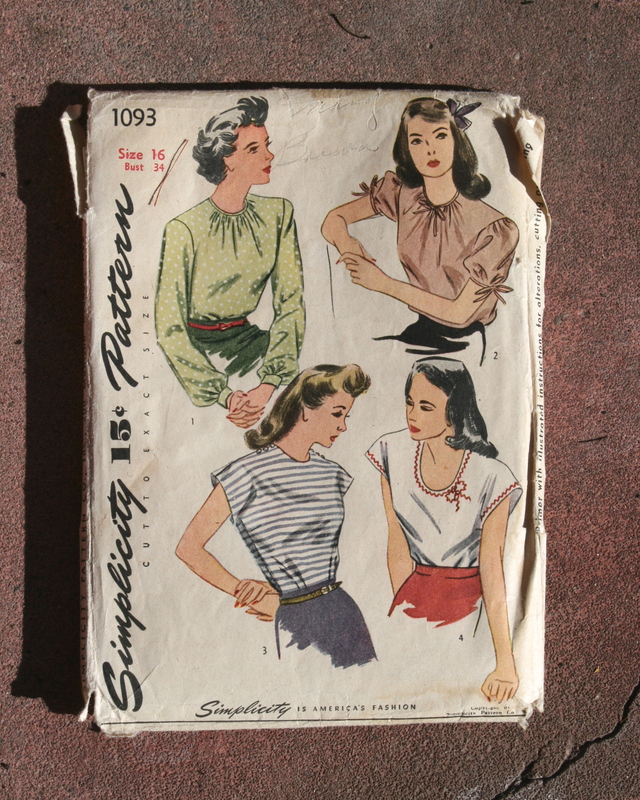 I used Simplicity 2851 from 1949. I just love late 40s looks! 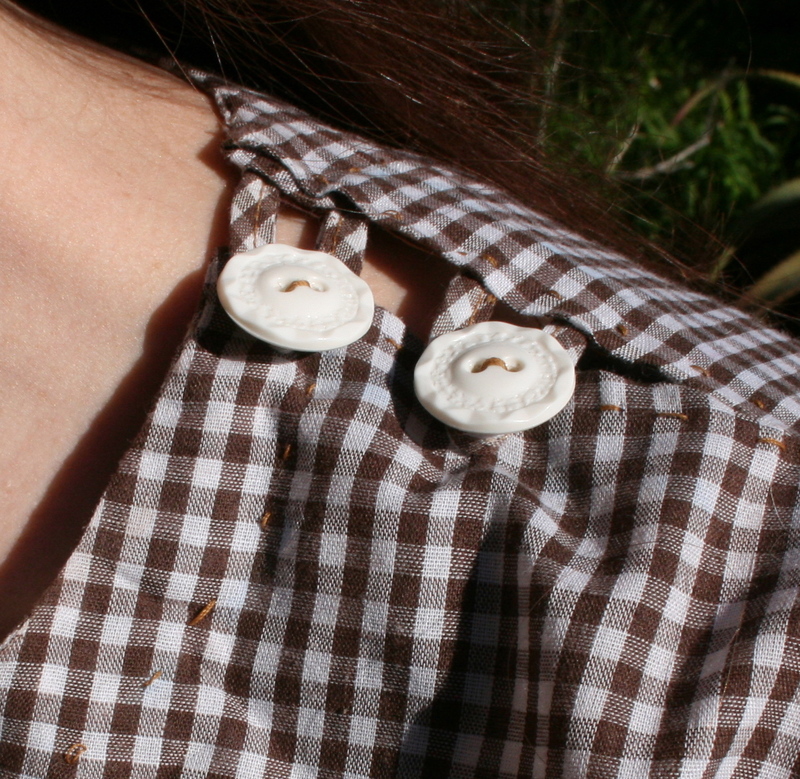 I used these cute metal buttons with stars and faux top stitching. 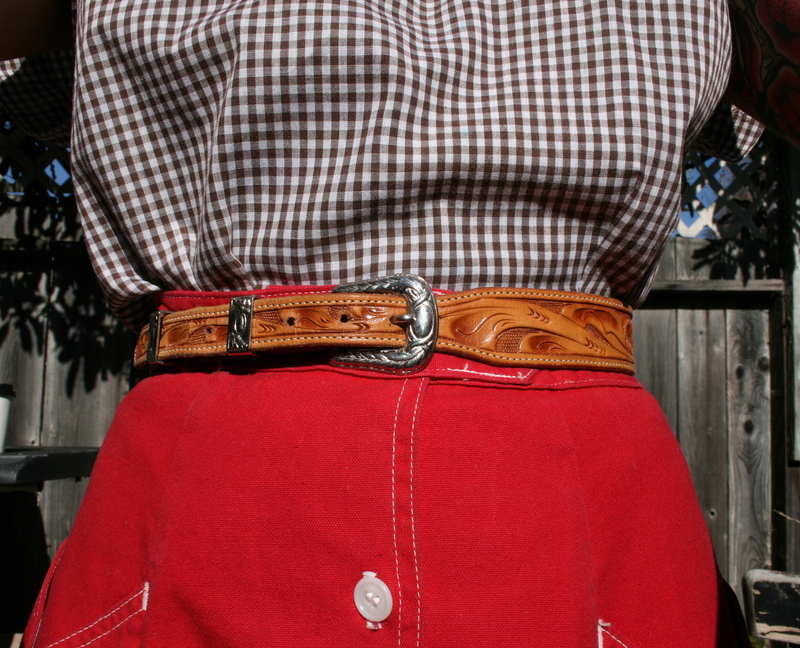 And of course, it needed a self fabric belt! More photos and construction details here. I just finished sewing up this fun western shirt for my honey (the handsome model in the photo below) from Simplicity pattern 3054 from 1949. I used dark brown & tan lightweight wool and a plethora of cream colored piping for this project. 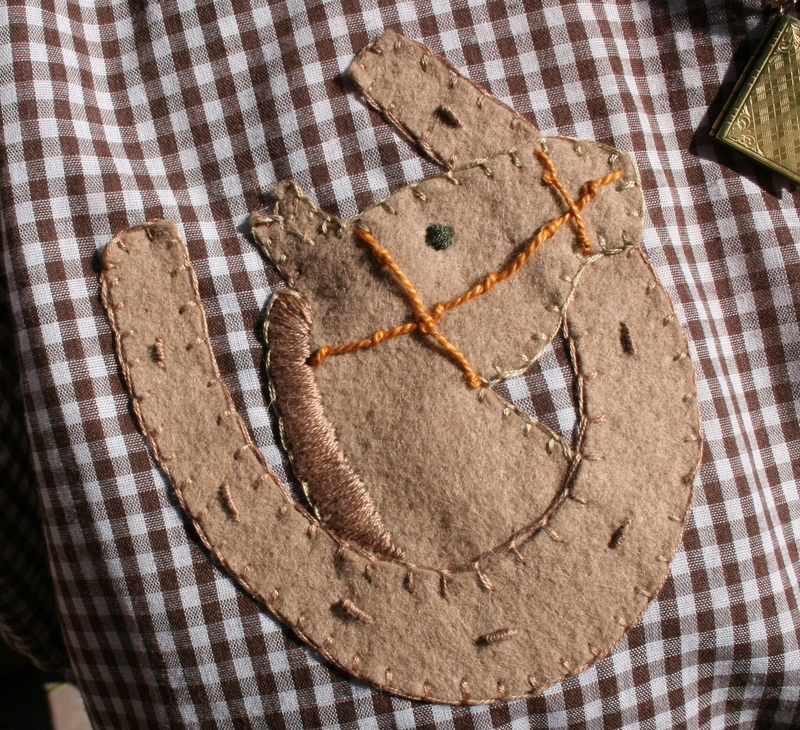 I also added pearl snaps instead of the buttons which were suggested for a more traditional western look. I’m really satisfied with the result aside from a few tiny details that no one will ever notice except me. 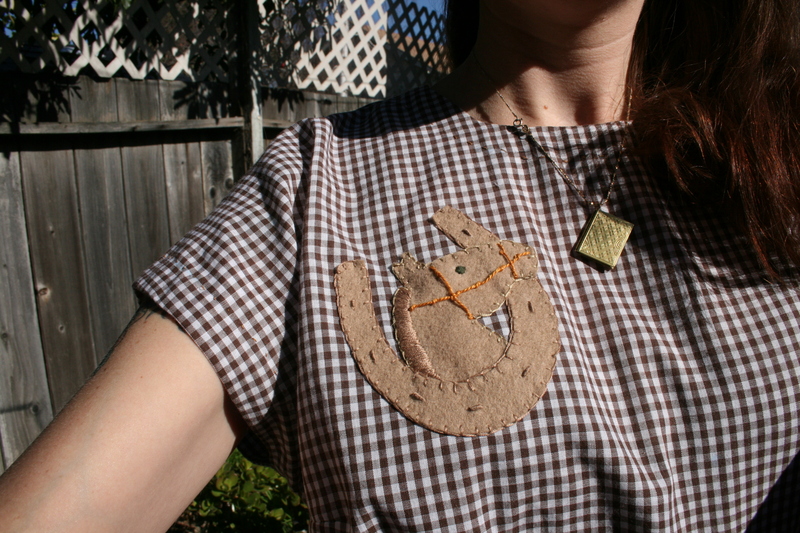 While sewing this up, I learned how to do these nifty arrowhead tacks on the pockets…aren’t they fun? Of course they are and guess what? They’re easy too! I referred to an awesome tutorial that I found on the Coletterie website ( http://www.coletterie.com/tutorials-tips-tricks/arrowhead-tack-tutorial ), which i love! hand sewn arrowhead tacks & tricky welt pockets!